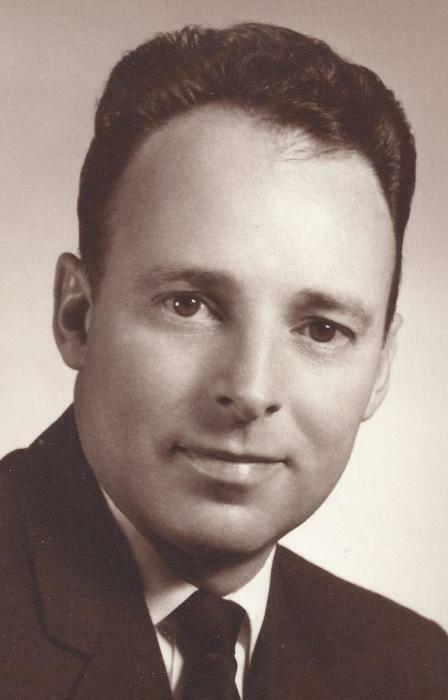 Obituary for Allen McGinnis | Esterdahl Mortuary and Crematory, Ltd.
Allen C. McGinnis, 95, of East Moline, fell asleep in death on Tuesday, October 2, 2018, at his home. Memorial services will be held at 4 p.m., Tuesday, October 9, 2018, at the Kingdom Hall of Jehovah’s Witnesses, 1175 Lincoln Road, Bettendorf, IA. A memorial visitation will be held one hour prior to the services. Per Allen’s wishes, cremation rites will be accorded. Esterdahl Mortuary & Crematory, Ltd., is assisting the family. Allen was born on January 5, 1923, in Canton, the son of Lloyd and Ruth (Lynn) McGinnis. He married Rosalie Jeffrey on March 27, 1948, in Canton. He was an electrician and volunteered many hours helping others with their home repairs. He loved golf and working outdoors. Survivors include his wife of 70 years; son, Dennis of Arizona; daughter, Linda of East Moline; special granddaughter, Di (Viktor) Malutina of Davenport; several nieces and nephews. He was preceded in death by his parents, two brothers, Leo and Scott McGinnis, and four sisters, Charlotte Schumaker, Dorothea Vanderschoor, Lena McGinnis, and Merlyn McGinnis. Thanks to the many Genesis Hospice nurses who came all hours to help him, especially Casey who made him giggle. Thanks to all the friends in the East Moline Congregation of Jehovah’s Witnesses who provided food, prayers and much comfort.